Description: OER-101: Locating, Creating, Licensing and Utilizing Open Educational Resources or OERs is a self-paced online community course that has been built to demonstrate how to find, adapt, and develop OERs step-by-step. These OERs may then be licensed via Creative Commons, printed and bound, and integrated into any type of learning environment. The course is organized into five “pursuits,” each of which represents one facet of the world of OERs. Participants are encouraged to complete all of the pursuits by following the suggested course progression, but each pursuit can also be completed individually. Read about the design team's experience creating the course. The workshop recording is HERE. The primary goal of this presentation is to provide participants with the most up-to-date information available concerning the ground breaking copyright and fair use case ruling issued May 11, 2012 in Cambridge University Press et al v. Georgia State University. For the first time, a court decision painstakingly evaluates seventy-five instances of alleged infringements by analyzing and explaining the four fair use factors in relation to each alleged infringement. In addition, the court lays out the most specific guidance provided by a court to date to assist faculty members, librarians, instructional designers and others in applying fair use when using chapters or sections of books in learning management systems and e-reserves. 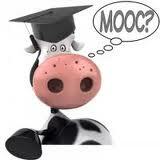 Try a MOOC: Learn Spanish! Instreamia is sponsoring the first-ever language MOOC, for first-year, college-level Spanish students. The course will be a combination of recorded video instruction, conversation practice with other students, and homework assignments given and evaluated through the integrated Instreamia learning platform. In these assignments, students will practice listening recognition, vocabulary understanding, context comprehension, and grammar usage. For the first time, adaptive learning will combine with MOOC methodology to offer an unparalleled experience to the masses. Course runs January 21 through April 8, 2013. Read more about the course and sign up at www.SpanishMOOC.com. Are you interested in promoting academic integrity and resisting the practice of plagiarism in your classroom? As a follow-up to an earlier webcast, this session (second of two-part series) will introduce a model to advance student moral decision making with a focus on promoting academic integrity and resisting plagiarism. Examples for student-led activities will be presented along with links to additional resources. Recording of webinar is HERE. How can instructors teaching in other disciplines effectively evaluate student writing? How can English and composition departments promote more effective writing assessment in other disciplines? Following an approach based on rhetorical analysis, instructors across the disciplines can learn how to provide better feedback on student writing. In this webcast, we will look at how to conduct a rhetorical analysis of student writing and learn how to develop and share writing rubrics that can be used to promote student writing beyond composition. Valerie Balester is a Professor of English and Executive Director of the University Writing Center at Texas A&M University. She specializes in rhetoric and composition and has extensive experience training and supervising writing teachers. Valerie recently published an article on rubrics in Race and Writing Assessment (Eds. Asao B. Inoue and Mya Poe, Peter Lang, 2012). Her current project is an assessment of the effectiveness of the writing-in-the disciplines program at Texas A&M University. When: Thursday, October 25th at 8 pm. Three winners of the Camtasia Screencast Video Contest will be showcasing their videos and how they created them. There will be an open Question and Answer session towards the end for you to pick their brains to find out what it takes to create a winning video. This event is sponsored by learncamtasia.com, a Camtasia training company run by Michelle Schoen and Lon Naylor. Though the online course is underway, here is the link to the archived recordings. Feel free to jump in and take advantage of the resources! Replay of webinar available HERE through 9/28/2012! This is content you don't want to miss!